This design delivers a dramatic departure from the ordinary, opening your home or lobby/reception area to a light well affording a beautiful overhead pool of sunlight. Columbia Circular Roof Domes are supplied with built in, non-condensating, double wall brown fiberglass curb and retaining frame. 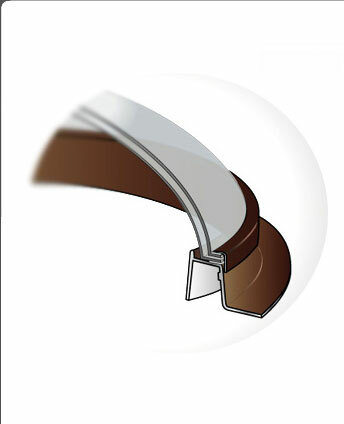 The built in curb measures six inches in height and includes wide flashing flange to ensure optimum seal. 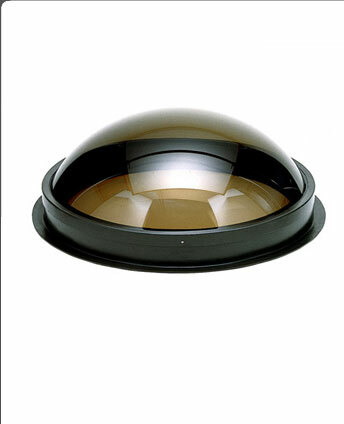 Circular Roof Domes are intended for a sloped shingled roof application or tar and gravel roofs. The fiberglass curb can be modified to accommodate site built curb.